What Is A Geofence And Why Do I Want One? A geofence is a defined area that enables software to trigger a response when a mobile device enters or leaves that particular area. Pretty cool, right? 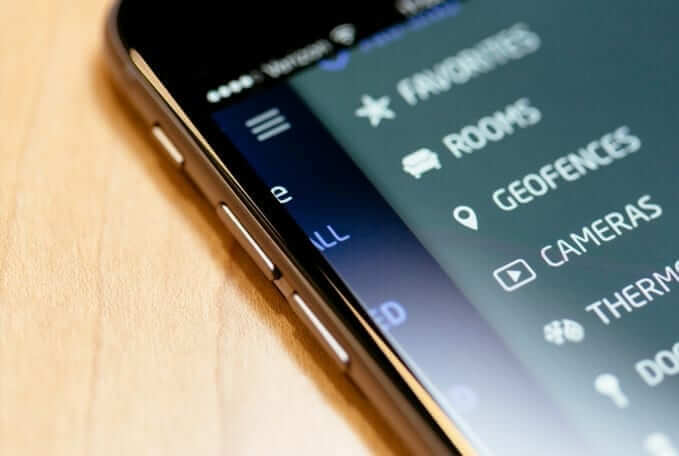 Setting a favorite – You can customize your home and security by adding any of your z-wave devices to a “favorite” on your DMP app, such as door locks, lights, thermostats and the arming/disarming of your system. Then when your device enters or exits the geofence, your favorite will be triggered. For example, you can create a favorite for your lights to turn off and your system to arm when you leave the geofencing area, aka when you are off to work, the grocery store, or school pick up. System arming reminders – When the person who creates the geofence is the last mobile device to leave the geofencing area, your DMP app can send a push notification reminding you to arm your system. One word: children – Parents can add their childrens’ devices to the geofence and receive notifications every time that device enters or exits the geofence. This is great for making sure your kids get home from school safe. Useful for your business – You can also use geofencing entering and exiting favorites as well as arming reminders for your business. You can add up to 20 different geofences on the DMP app. Log in to your DMP App. Go to the Geofence tab. Select the icon to add a geofence. Select the mobile devices you’d like to be part of the geofence. If you want to activate a favorite to have lights turn on or off, your alarm activated etc. select an Enters Area Favorite and an Exits Area Favorite. Choose your alerts: smart arming reminder, favorite activation, device enter and exit. You are ready to start using your geofence!